The Flames wrapped up a successful Young Stars Classic on Monday night with a thrilling 4-3 overtime victory over the Vancouver Canucks at Penticton's South Okanagan Events Centre. Two wins and an overtime loss in the annual rookie tournament makes for a productive start to the 2016-17 season. I've written all weekend about Ryan Lomberg but just when you think this guy -- one of the few on an AHL-only deal -- couldn't get any more impactful, guess again. What a compelling performance it was on Monday. He had two goals including the shorthanded winner in overtime, a game-high six shots, a game-high seven penalty minutes, and was a game-high plus-3. If that wasn't enough, after the game he posted on his Instragram several in-focus pictures he took of the Ogopogo. Phew, what a night. The winning goal came unassisted. When Canucks defenceman Ashton Sautner lost an edge and fell near the boards outside the Calgary blueline, away raced Lomberg. After beating Thatcher Demko up high on his earlier breakaway goal, this time he squeaked one through the pads. "A great, great feeling. I saw it trickle in and I looked up and I see all the boys headed for me so it was awesome," said the centre, who is 5-foot-10, a solid 190 pounds and sports an admirable mane of hockey hair. Included in his busy night at the office was a spirited first period fight with rugged Yan-Pavel Laplante. which even left his teammates in awe. "I'm almost scared for the guys out there. I think they underestimate him a little bit. 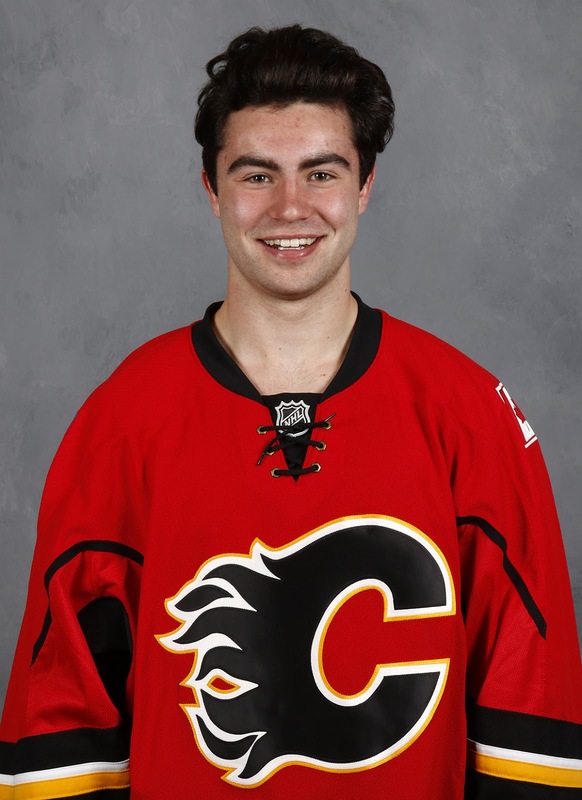 He's a scary guy," said Calgary forward Dillon Dube. "When he had that fight, that was unbelievable. Then he comes out and scores two goals after that,I was very impressed by him and I think he's probably been the best player on the ice every night for us." Lomberg was satisfied with his night's work. "That was probably the most fun I've had in a little while," said the 21-year-old with a smile. They say you play your best when you're having fun and I guess that's what happened tonight." That said, there remained an air of dissatisfaction as he is on an AHL deal and desperately wants a shot at playing in the NHL. 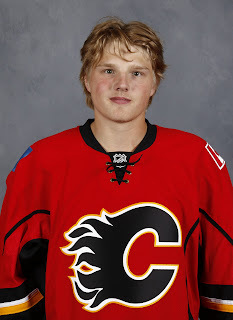 "I want to play for the Calgary Flames, I want to earn an NHL contract. That's been my goal since day 1, that's what I'm here to work for and trained so hard every day this summer," he said. He is in the same situation as Garnet Hathaway a couple years ago, whose story Lomberg is familiar with and serves as inspiration. Hathaway was also on an AHL-only deal initially but then got signed to an NHL deal after he had a good year with Stockton. Asked to describe Lomberg, there was a lot of searching for adjectives. "Reminds me a little bit of Brad Marchand," suggested Dube. "He's one of those tough little guys, who gets under everybody's skin but when he gets the chance, he'll score and that makes it even worse for the other team." “All weekend, if there was one guy that was really noticeable consistently I thought it was Ryan," said coach Stockton coach Ryan Huska. "He brings something to the table. Even as a young man he understands if he’s going to play at a higher level, and hopefully one day at the NHL, there’s a certain style he has to bring. Never mind just being a fan favourite, Ryan Lomberg is going to be the Mayor of Stockton by March. Lomberg first landed on the Flames radar when Calgary was heavily scouting Kyle Connor two years ago at Youngstown (USHL). He was the captain of that team. 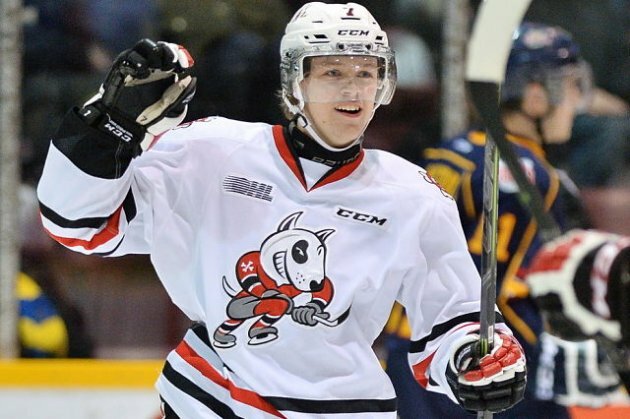 "He's as advertised," said assistant GM Brad Pascall. "He's a hard working guy. Good skater. He's a guy that goes into every face-off as if it's game seven and a minute left. You just love the effort that he brings." Matthew Tkachuk also played against him that same season in the USHL. "Honestly, he doesn't remind me of anybody," said Tkachuk. "I've never really seen somebody like that, who can put the puck in the net like he does but can hit as hard as he can and can fight and he's so fast and so strong. He's really tough to play against." He certainly has created quite the fan club. “He’s one of the guys you really do pull for," said Huska. "We have a lot of people happy he had a really good weekend here, and hopefully it’s a sign of some really good things to come." While the spotlight may have been on Lomberg, Dube had his best game of the weekend and the first two weren't bad either. This guy can play. "It was a good day. My line was playing good, I got a lot of opportunity to play today. I think that's the most ice time I've had and I tried to make the most out of it," said Dube, who will eventually return to the area to play his third season with Kelowna (WHL). Playing centre and paired with Matthew Phillips for the first two games, Dube shifted to left wing on Monday and was just as effective in that role, find himself around the puck all night. In just one example of his vision and playmaking ability, he darted down the wing and while I looked into the slot from my perch high above the ice surface -- without any of the back pressure he was facing -- and could not see an available passing option, he somehow did, precisely threading a pass cross-ice and onto the tape of Andrew Mangiapane in the slot for a scoring chance. "He was our best forward. Ryan (Lomberg) you noticed because of the fight and a couple of goals, but because of the way Dillon played the game, to me, he was one of our most noticeable guys," said Huska. "He had chances, he made plays with the puck, he killed penalties, he was on the power play and he played with some hunger." Because of his size, speed and slick collection of offensive skills, then add in his pleasant and personable demeanor off the ice with him always smiling, and you don't expect him to play with such an edge but that quality is there too and makes him even better. He's not afraid to get his nose dirty around the net and he'll lay the lumber to the back of your leg if he's pissed off. "I definitely like to be mean in the corners sometimes, but I've calmed it down. I hold it in pretty good now," said the Cochrane kid about his temper, which he says he probably gets from his dad. "That was the biggest thing when I was younger and I had to grow out of it a little bit. I have to pick my spots. I don't want to get hurt and be running around against all these big guys because lots of them could have their way with me." Huska had Dube briefly the last year he coached for the Rockets. "I remember as a 15-year-old when he first came into Kelowna, we had to tone him down a little bit because he'd become unglued when he didn't need to," said Huska. "So we had to work with him. Similar to Matthew, you don't want to take it away from a player because that's what makes them special but they have to learn how to use it to their advantage." Development camp darling Eetu Tuulola quietly had another effective showing in Penticton. Early indications are that the sixth rounder from last June is looking like a real steal for a guy acquired so late in the draft. On Monday, it was Tuulola's shot that was deflected in by Dennis Kravchenko to put the Flames on the scoreboard. On a power play, Tuulola then notched the tying goal. First he tipped Kenney Morrison's point shot. Then he promptly corralled the rebound and lifted it past Demko. The 'Finnish Milan Lucic', a reference the 6-foot-2, 230 pound right winger uses when describing his style, will play this season for Everett (WHL) so will find himself back in B.C. a lot over the next six months. "It was really awesome to put an NHL jersey on. It's always been a dream to be an NHL player so I think I'm now a step closer to that," said the 18-year-old, who contributed a pair of assists in Friday's game. "It's a lot of work but I'm happy to do it." This is Tuulola's first time in North America. He also came over on his own for the draft, leaving his parents back home in Finland. "Young guy, who moved away from home and starts living in a new place, new city, but I think it's been a great experience for me. I think I've grown up a little bit this year," he said. Interestingly, the Flames rolled out the same top line for all three games with Tkachuk at left wing, Mark Jankowski at centre and Austin Carroll on right wing. As I wrote on Friday, it was supposed to be Morgan Klimchuk playing his off wing on the top unit but he ended up tweaking his groin in the pre-game warm-up. 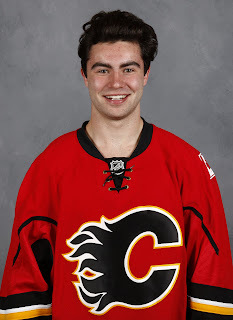 He ended up missing all three game and well it was a tough break for the Calgary kid determined to rediscover his scoring touch -- and Pascall said he was understandably angry about his misfortune -- he is expected to be ready for when main camp opens on Thursday at WinSport. On Monday, that trio was good early in generating several chances, but were pretty average after that including not very good at all on the power play. But with all the ice time they got this weekend, the three games in 72 hours was a lot of high tempo action, perhaps fatigue was a factor. Jankowski did have a shorthanded breakaway in the first period and after failing to convert it, he then got a second chance in the form of a penalty shot after a slash from behind while he was moving in. However, the effort on the penalty shot was even worse as he moved in slowly and never really looked dangerous in easily being turned aside by Demko. Was it the end of his shift maybe? Who knows, but based on that sampling, this might not be a guy that will be very high in the shootout order. Joe Colborne, he's not. Or not yet, anyway. Carroll's subpar evening featured three trips to the penalty including one that looked like it would be costly 3:12 into overtime. It was a continuation of the chippy game he played on Saturday. Carroll also had a blatant giveaway that led to the Vancouver goal that tied it 2-2 in the second. As for Tkachuk, no doubt he might be tired as I was exhausted just from watching his antics the first two games. In cruise control for much of the final two periods, he did level the boom with a heavy bodycheck halfway through the third. While it drew an 'ooh' from the crowd, it was well after the victim had moved the puck so resulted in an interference penalty. Elbowing, cross-checking, high-sticking and spearing were among his ticketed violations over the weekend as as the 2016 first rounder racked up 22 penalty minutes over the weekend. As a comparison just to emphasize the drastically different style between him and the team's previous sixth overall pick, Sean Monahan has just 38 penalty minutes in his three NHL seasons. Crazy. Fully focused on getting ready for main camp, Tkachuk says his weekend in the Okanagan was mission accomplished. "It was a really good test, this whole weekend, for training camp," he said. "Ultimately my only goal to get out of this was to be ready for main camp." Of all the guys at rookie camp on tryouts, one guy in particular to keep an eye on is Mikkel Aagaard. It would surprise if an invitation isn't extended to him to stick around for main camp. 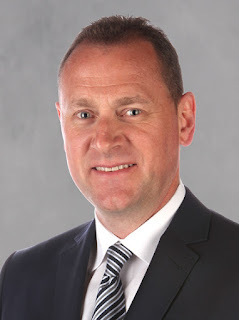 No decisions have been made yet, said Flames assistant general manager Brad Pascall, but given the native of Denmark ended up playing all three games in Penticton, clearly there is some interest there. It wasn't all good for Aagaard on Monday. It was his man that converted a centring pass to give Vancouver a 3-2 lead in the second period. However, he showed great drive and strength in the third period in one sequence by stealing the puck away from a much larger defenceman and than fending him off as he took the puck to the net for a dangerous scoring chance. 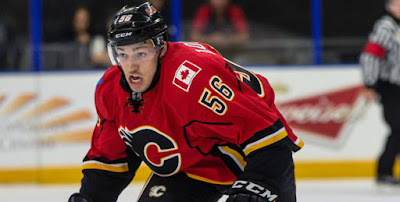 Getting the Flames first goal on Monday was another tryout invitee in Krevchenko, a stocky 5-foot-9 centre, who is also homeless after moving on after playing NCAA the past two years at U-Mass Amherst. He also played Friday and was noticeable that night too. Brayden Burke, the prolific playmaker from Lethbridge, ended up playing just the one game and that may not bode well for his future but again, nothing is decided yet. Pascall says the management group will meet again on Wednesday and then make some decisions on who will be sticking around to start main camp. In each of the three games, the Flames held a wide edge in shots. They outshot the Jets 43-23, the Oilers 38-28 and then held a 43-28 edge over the Canucks. That's a plus-45 shot differential for the weekend. Pascall was impressed at how prepared the players were. "For me, it's more re-assurance that some of these guys have made some progress, have invested in themselves and taken it upon themselves to say hey, this is a big summer for me and I need to come into Penticton and be ready to go." In particular, he came away very satisfied with the 2016 draft class in which six members were in attendance -- Tkachuk (1st round), Tyler Parsons (2nd), Dube (2nd), Tuulola (6th), Matthew Phillips (6th) and Stepan Folkovsky (7th). "It was confirmation that guys that we drafted this summer, whether it was Dube or others, geez, we've got some good players coming here," said Pascall. "A lot of these guys will go back to junior but you have them on your side, and you can see them with our logo on and know that we have some really good, legitimate prospects coming our way." Does the dominating performance by the Flames rookies ultimately mean anything? Not really. But winning always beats the alternative. The rookies flew back to Calgary on Monday night and will be back on the ice in Calgary once a couple more times before main camp begins on Thursday with fitness testing at WinSport. 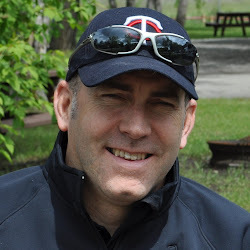 I always enjoy your blogs thanks for putting in the time to share your thoughts. Out of curiosity is Lomberg locked into an ahl contract this season or can it be amended into a nhl one before the season begins? Thanks for reading. At any point, a team can cancel one contract and issue him an NHL contract. It (very likely) won't happen but that is a possibility. Thanks for the interest. The trick with my plan to do them with a co-host is availability of such co-hosts. I can't just crank it out when I want and on my timeline. Due to a couple delays, it's now been a while. The good news is I have one recorded. But I need to do the final finessing from my home computer so can't post until I get home from Penticton. Hoping to get it up tonight, although probably late tonight, early tomorrow. For your background, this one was recorded with Ryan Leslie from my hotel room on Monday and is a good look -- not game recaps at all but more general -- at some of these kids, their backgrounds, how they roll, and what we like about them, etc. We had a good long chat about Tkachuk you'll find interesting. Unfortunately I mucked up the recording and the quality isn't as good as it should be (ended up recording from the computer mic, not the pro mic that I set up, doh!) but the content is good. So coming soon is the answer.